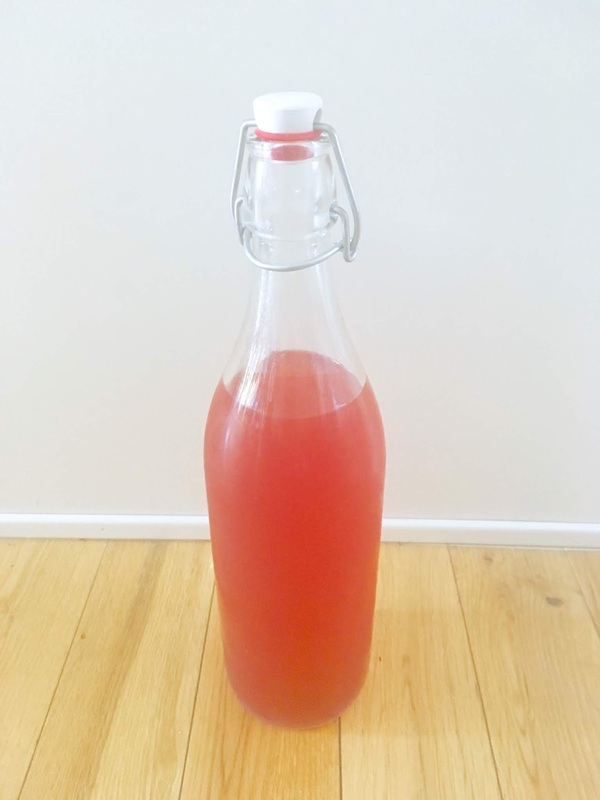 LADY LUND: All about water kefir! Okay so if you are reading this, you probably want to know what the heck water kefir is, or better yet, how to make it yourself! I'm going to break it down for you, so I hope this helps you on your journey to building your gut health. Because who doesn't like a drink that eats up most of the sugar, and it still tastes bubbly and delicious? Water kefir is a probiotic rich beverage that is a sweet, and slight fermented taste. It has more probiotics than yogurt or buttermilk. Eating sugar, processed food, Skin issues, food sensitivities, and auto immune diseases are a manifestation of needing probiotics for your gut. Probiotics are only part of the answer for many of those, but it’s a bigger part than many people consider. Having really great gut health can also help prevent cancer. You start with kefir grains, which really is just a combination of bacteria and yeast that create a culture. The fermentation process releases additional vitamins and minerals too. Here they are below, they look like little grains (no bread at all, just a name). You know those probiotic pills everyone is taking these days? Well this is a food version. And I'm all about food versions when I think it is better to do in the long run than just doing what is easy. It's really, easy. Once you make it a habit! & if you want to buy any on occasion, I love Kevita Brand in the Coconut Lime MoJito. You can find that brand at sprouts, harmons, Redmond Farms, and most natural grocery stores. You take 4 cups of hot water and dissolve 1/4 C sugar in it. I use unrefined sugar so that I don't have to add extra minerals--Water kefir need minerals. Add your grains to the mixture (1 T for 4 cups of water), then cover with a cheesecloth or coffee filter. Put rubber band around it so it will stay. Let it sit on the counter for 24-48 hours. I know, real hard. Once it turns cloudy or lightens in color, you are done with the first ferment. It will culture much faster the warmer it is in your house. Mine are usually done after 1 or 2 days, but I'm sure it will take longer in the winter. You will know when it is done, because it will get lighter in color similar to the first ferment. You will also see bubbles forming at the top. Be sure to pop open the lid, and be prepared for some fizz. I've exploded mine before leaving it out too long, so just be careful! I don't have one, but this collapsible strainer would save space in your drawer! And it's silicone, so better for you health wise! Water kefir vs Milk Kefir? Both are awesome, and probiotic rich! Milk Kefir wins in the amount of probiotics, it has 50! Water kefir has about 15. But these are the two best probiotics to take in my opinion. I use both! Milk kefir is tangy, and more like yogurt. It's not as thick as yogurt, but I have used it in a lot of different ways. You can use coconut water every once in a while with water kefir grains, and coconut milk with milk kefir. Milk kefir is great for those that are lactose intolerant, as 99.9% of the lactose is gone. Water kefir can also be used in non-dairy milk to make a non-dairy kefir. I've never tried that yet! Yes, fermenting foods creates alcohol. But this is a lost art, and something I firmly believe we need to have back in our daily culture. It's about as much alcohol as a ripe banana, so I really wouldn't worry. It's truly such a small amount. What flavor of water kefir do you think you'd like? I can't wait to see what you come up with, please share if you do! I also love this site whenever I have any questions.